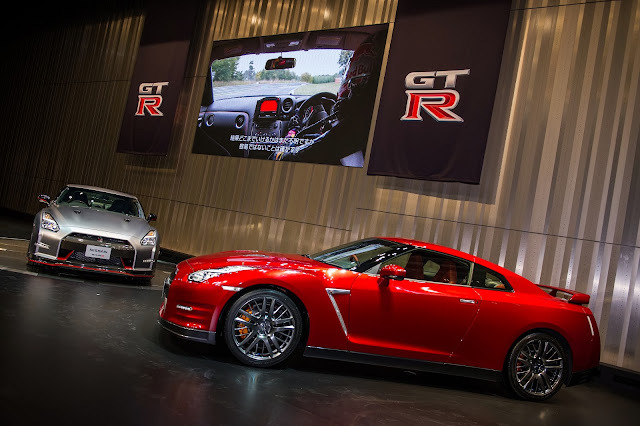 Nissan sold 95 Nissan GT-R's in November 2013 vs 85 cars in November 2012. This brings the 2013 total sales to 1158 cars. Not a lot of cars, but its a steady number. In November 2013 Nissan sold 444 370Z's, and 2003 LEAF's clearly showing the buying public is going the wrong direction. 24,604 Nissan Altimas sold, bringing the yearly total to just under 300,000 cars. Year to date Nissan has sold over a million cars up 10.7% vs 2012. Check out the press release and sales chart below. NASHVILLE, Tenn. – Nissan established a November U.S. sales record with 106,528 total deliveries, marking an increase of 10.7 percent over last year's total of 96,197. Nissan Division set a November record with 93,376 deliveries, a 10.8 percent increase over the prior year. Sales of Infiniti vehicles also set a November record with 13,152 deliveries, up 10.5 percent. "Consumers' strong demand for Nissan products continued last month, culminating in a very good Black Friday weekend and driving our sales performance to an all-time record November," said Fred Diaz, divisional vice president, Sales and Marketing and Service and Parts, Nissan U.S.A. "Nissan has achieved record sales in eight out of 11 months in 2013 and with more than 1 million units sold, we have already outsold all of 2012." Nissan division posted a November record with sales of 93,376 units, a gain of 10.8 percent from 84,300 deliveries the prior year. Sales of the midsize Nissan Altima set a November record at 24,604, up 21.2 percent over the prior year. Nissan LEAF sales set a November monthly record at 2,003, an increase of 30.1 percent over last year's strong performance. LEAF deliveries are up 141.1 percent in 2013, establishing monthly records each month since the March debut of the 2013 model. Nissan Sentra deliveries were up 62.5 percent to 11,664 units on rising consumer demand and better vehicle availability. Frontier sales increased 54.6 percent in November to 6,003 units. Infiniti today reported record November sales of 13,152, up 10.5 percent from 11,897 units a year earlier. The all-new Infiniti Q50 saw deliveries of 5,891 units in November, one of the strongest ever monthly sales of a single Infiniti model. The Infiniti QX60 7-passenger luxury crossover also had its best November ever, with sales of 3,015, an increase of 19.2 percent.